Digital marketing is incredibly popular today…and for good reason. Never before has it been faster, easier, or cheaper to reach a mass audience with your message. 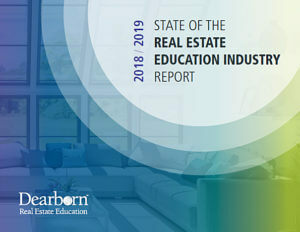 Email, eCommerce, social media, search engine marketing, banner ads, native advertising, and a hundred other digital channels have revolutionized the way you go to market as a real estate school. Of course, your potential students have also never been more overwhelmed with marketing messaging. Digital marketing experts estimate that the average American is exposed to 4,000 to 10,000 advertisements every day. How are you going to cut through that clutter? Tessa Sims is a team leader for Keller Williams Realty San Diego North Inland (KWRSDNI). Tessa was charged with helping the brokerage launch a real estate school. In just its first year, the school enrolled 224 students and replenished over half of the agents lost to attrition with newly licensed, highly motivated agents. What is the primary recruiting tool Tessa credits with the success of their school? Career nights. In one year’s time, by opening the doors of their school, presenting on the real estate profession, and answering questions, the brokerage saw nearly 300 attendees at their free career night events. In this article, we boil down some of the strategies that have made KWRSDNI successful and discuss how you can put them to work for your school. Instead of using your current marketing mix to drive student enrollment, use it to drive registration in a career night event. If a prospective student is looking for information, they’re probably not ready to enroll yet. Advertise your career nights as a no-pressure opportunity to kick the tires on a real estate career. Aim to get every student who calls with questions registered for a career night event. Once they’ve attended your event, if they decide to pursue a real estate career, you will have a warm lead who has already spent an evening in one of your classrooms. Don’t just invite prospective students and hope they will show up. Get their name, contact information, and register them to attend. It’s important that your career night is staffed appropriately. This may mean asking your existing staff to put in extra hours, or work different hours on a career night. If you are a one- or two-person shop, or are having a hard time staffing your event with current employees, consider hiring part-time help to staff career nights. There will be additional costs associated with this strategy, but it’s important that there are people there to greet your guests and make a personal connection. It’s also important that you have the appropriate speaker(s) there to present to the group and answer questions. If you’re not currently a practicing real estate professional, it might be a good idea to pair up with a local broker or salesperson to answer career-related questions. As marketing methods continue to evolve, there will always be new and better ways to reach your potential students. But it’s important to remember people still appreciate a personal touch. Career nights are a great way to have face-to-face meetings with prospective real estate licensing students…and get an opportunity to play a role in their decision-making process.